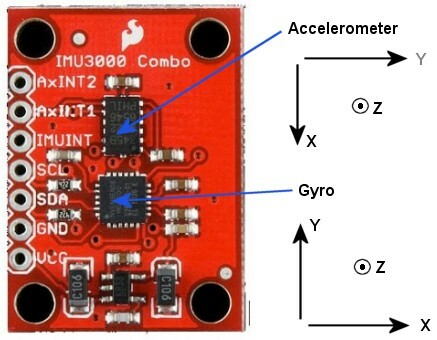 This is a great board (IMU3000 product page) which contains an ADXL345 triple axis accelerometer and an IMU-3000 triple axis Gyroscope and temperature sensor, which is all accessed via one I2C interface. Well, that's the idea. In reality it takes some setting up to get this working. 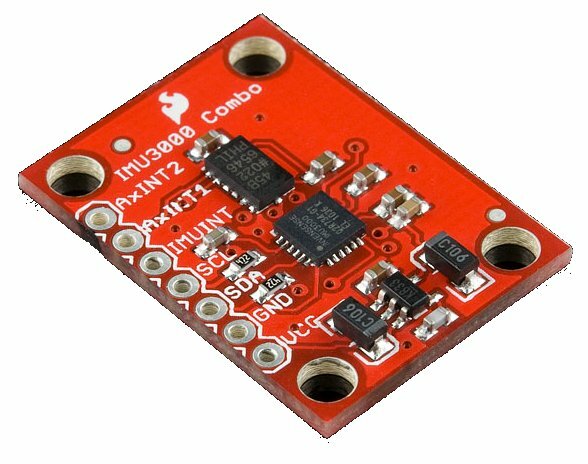 Also, sparkfun have placed the sensors in a non-consistent orientation which means some juggling of the x and y values is required. Here is a diagram to illustrate the Orientation of the devices on the board. And now to the Arduino sketch.